This book is rich in ideas and emotional depth, a book by a poet adept at interlacing disparate references in order to explore the nature of cultural and gender identity. To state that Loop of Jade is concerned with notions of belonging and displacement, of difference and universality, of the political in the personal, would not be an inaccurate observation. But it is difficult to convey how rich and complex this book is, and how entertainingly and skilfully these themes are explored. A PhD in renaissance literature from Cambridge, Howe is able to draw upon her learning to make historical and cross-cultural connections. Many of these pieces illustrate that despite advances in technology and shifting regimes, there is little new under the sun. It is not necessary to be familiar with Howe’s references to enjoy such accomplished work. Indeed, the range and variety of the poems, from long, complex narrative pieces to impeccable metaphysical sonnets and lyrics of great delicacy, make it hard to believe this is the Howe’s first full collection. Howe’s family lived in Hong Kong until she was eight years old, migrating to an England that had always been referred to as ‘home’ by her English father. 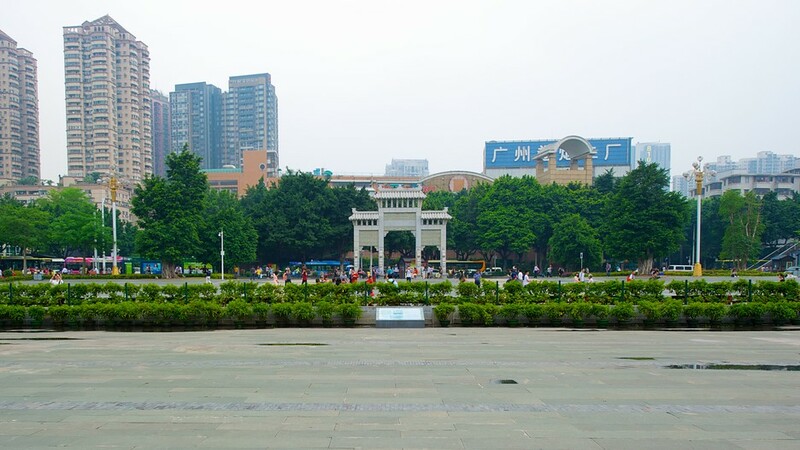 In a piece written for Best American Poetry, Howe explains that her return to China as an adult led to a revaluation of some of her work as she attempted to reconcile her return to a place at once familiar (at least in her imagination) and strange. Howe also explains that she wanted to interweave the stories told to her by her mother, who was born in China. If this seems an ambitious goal, then Howe succeeds, approaching her subject from many angles and using her learning to great effect, wearing her knowledge as lightly as an elegant and beautifully tailored suit. The collection opens with ‘Mother’s Jewellery box’, an exquisite imagistic poem that lets the reader know they are about to go on a journey of exploration, a search for understanding of duel-heritage conducted from a western perspective (the last line speaks of ‘whisky poured/ by morning light’). As well as an introducing one of to the central themes, it is a spellbinding scene-setter. In contrast the poem which follows ‘Crossing from Guangdong’, is written in disarmingly ‘plain’ and unadorned language. Here, familiar western cultural touchstones, such as the ‘humid strains of Frank Sinatra’ become ‘unexpectedly strange’ when in a cafe in Asia, where the speakers unfamiliarity with her environment makes it difficult to decide if even ‘the single, glossy orchid’ is real. Howe is searching for traces of her mother’s earlier life, the life she has heard about, but also the place where she spent her own formative years. As the collection unfolds it becomes apparent that neither place physically exists, since the ‘strange pilgrimage to home’ will only reveal what the poet discovers and experiences in an alien culture. The concept of ‘honouring’ the past might seem very old-fashioned, but it seems an appropriate term to apply here. By recording her mother’s (often difficult) early life with great clarity and empathy, Howe is preserving aspects of its culture, utilising her learning and craft to shed light. ‘Tame’ is both harrowing and beautiful; harrowing in that it is an uncompromising and unredeemed tale of the tradition of female infanticide and domestic abuse in a patriarchical society, and beautiful in the elegance of its execution, a fusing of fable and elements of Greek myth in which both the wife and the unwanted daughter of a woodsman respectively transform into a lychee tree and a goose. But the frequently explored trope of liberty through metamorphosis evades the young woman who, due to the ‘obligation to return’ is unable to escape her fate. The title poem of the collection entwines a classical Chinese story, narrated by Howe’s mother, with memories of childhood ,also in the mother’s voice. This poem is multi-faceted and hypnotic, conjuring atmosphere by juxtaposing the familiar (to western readers) with the unfamiliar. The authentic and empathetic rendering of Howe’s mother’s voice is startlingly and abruptly interrupted by Howe’s interjection; ‘I can never know this place. Its scoop of rice in a chink-/ rimmed bowl, its daily thinning soup.’ Here, and elsewhere, it is almost as if Howe is expressing an irritation with her dual heritage, as if her immersion in her mother’s life, or her imagining and rendering of it, has become almost dreamlike and she has awoken to the reality of who she ‘really’ is, a young woman brought up and educated in another, very different setting. The impression of experiential distance between mother and daughter is re-enforced in the section in which the mother recalls stories in hesitant phrases marked by white space. The poem ebbs and flows between an identification so strong that it is difficult to differentiate between mother and daughter and a kind of compassionate detachment. ‘Sirens’ explores the portrayal of female sexuality in classical literature and art. Taking in Homer and Horace on its way, the poem suggests that it was in the nature of the male artist to use fish and fowl in description and depiction of women, a reflection of the male’s simultaneous attraction and repulsion. Whilst many poems concern China, past and present, there are a host of other settings. These lines from ‘Night in Arizona’ illustrate the quality of attention that Howe brings to her work. There is also the magical and playful inventiveness of ‘Chinoiserie’, and the wonderful ‘Having just broken the water pitcher’ in which Howe seamlessly manages to link a Chinese monk’s koan or test question to the thoughts of a blogger in a modern-day city. There are also love poems of fierce, refined, and restrained passion and control. 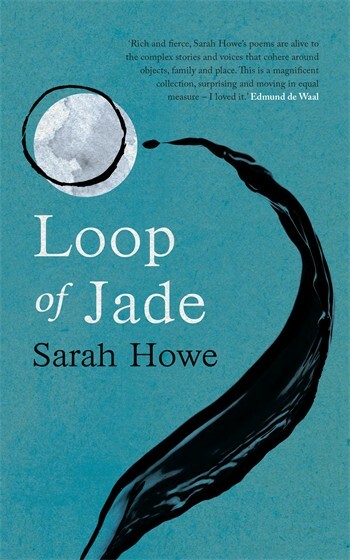 For its linguistic riches and intelligent interweaving of historical tests with contemporary concerns, for the clarity and inventiveness with which ideas are pursued, for its grace and integrity, for its controlled anger and compassion, for the uncompromisingly clarity of its political positions, for all these reasons and more, I can’t recommend Loop of Jade highly enough. Clarke was raised on a farm in rural Ireland, and in this, her first collection, the environment and the lives of its inhabitants, both human and animal, are revisited in a series of subtle and graceful portraits. These precise, musical poems admirably avoid sentimentality while evoking lives informed by a relationship with the land and the seasons, a world that is by turns both magical and brutal. The opening poem ‘Honey’ features a young sheepdog, ‘eyes bright, tongue lolling,’ her intelligence and developing responsiveness making her a valuable asset to Clarke’s father, the famer. This young working dog is also a family pet to dress up ‘like their teacher / in their mother’s headscarf and glasses’; however the promising position of the animal within the family’s life comes to an end when thirty ewes are discovered to have been driven into barbed wire. We are reminded with a jolt of the unpredictability and underlying ‘wildness’ of the dog and the animal’s transgression is met with a brutal and practical response dictated by age-old farming law. Similarly, ‘Rhode Island Reds’ begins with a vivid description of farmyard chickens, handsome ‘Haughty empresses of the byroad’ who perform, rather wonderfully ‘flamenco flounces’. The ‘hands on’ nature of farming and the utilitarian purpose of the birds is, however, brought home to an on-looking child when her mother deftly wrings one’s neck. ‘Daily Bread’ conveys the diligence, concentration and physical effort invested by a woman who is making bread. ‘ Blue veins lie like rivers on the map of her hands’ and she ‘flicks a lock, silver-grey frost / in December, from her high cheek bones’ before cutting a ‘deep cross’ in the dough. 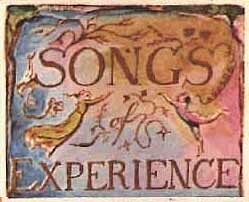 This symbol, and the title of the poem, places the woman’s work in a wider cultural context, and the beauty of the description enhances the sense of there being a transcendent spiritual dimension to this everyday task. In ‘Harness Room’ the poet asks herself why she has always loved the room in question; ‘Is it for the naming of things: the clippers / and shears, the grape and the rake stacked at the hearth with shovels and spades.’ It is impossible, given the location and self-confessed delight in this ‘naming of things’, not to think of Seamus Heaney. Like Heaney, the specific language of agricultural objects allows the reader, however removed from contact with such tools, to understand something of the diversity and complexity of farming work, to gain some notion of the myriad crafts and skills required by people living a rural life. 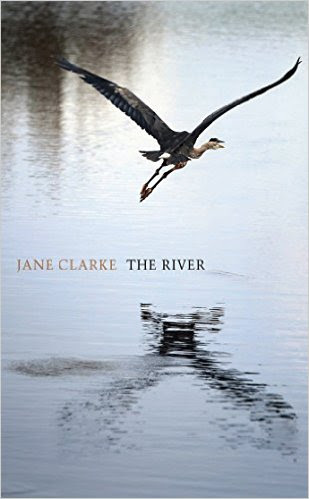 Clarke’s poems do not suffer from comparison with the master; rather, her touch is so fine and her handling of her material so light, assured and balanced, that she moves beyond the family portraits of Heaney’s early work to convey a deep sense of dedication and devotion required to live on and with the land. In this way the work of the people in these portraits can be viewed as definitions of care and manifestations of love. As a motif for both leaving and loss, of stasis and escape, consistency and change, Clarke’s river serves many purposes. While she celebrates and preserves her upbringing in elegiac, tender love poems to family, she also records their idiosyncrasies and stubbornness and acknowledges, in poems of painful intimacy, that lives lived in such a landscape can stagnate and become trapped and that change in such a place can often be slow in coming. poignantly and economically highlighting the sense of a place left behind in a colonial past, a place that still encourages children to aspire to missionary work in countries long since altered by the demise of empire. Political and ecological themes are explored, overtly in ‘Who owns the field?, a direct and highly effective modern take on a folk ballad, and, more obliquely in ‘The Catch’, in which the speaker is awestruck by a box of moths that have been captured in her garden. The perfectly pitched description of their strangeness and variety serves as an unarguable case for preservation of these delicate creatures. ‘White Fields’ is an economical study in how a man and wife can experience a loss of intimacy, their failure to articulate emotions leading to avoidance and an atmosphere of disappointment. In ‘The Suitcase’ a poem in which ‘despair was a neighbour / of love’ currents of desperation and of entrapment flow close to the surface. has a dexterity worthy of Kathleen Jamie, another poet whose skill in utilising nature’s sometimes unexpected ferocity allows her readers space to make their own resonant connections between nature’s changes and our own. This book, firmly rooted in Ireland’s cultural and physical landscape, will no doubt fit into that country’s poetic tradition so seamlessly as to seem to have always been there. But Clarke’s sensitive handling of universal experiences make this a collection with wide appeal. It is humbling to read work which so directly and carefully addresses and untangles the experience of loving and loss, of belonging to a place and of moving on. In acknowledging that we can’t go home again, Clarke also articulates how our beginnings inform our present, and that home is something we carry within us. In preserving and making sense of her own home and of the experience of leaving, Clarke has written a book of profound and enduring beauty. Thanks to ‘The Compass’ , where a version of this review first appeared. The Escape Artists by Ben Parker– tall lighthouse. Review first published In Antiphon magazine. ‘The Path’ has a sense of unresolved mystery, and like many of the poems here, it is otherworldly, elusive and haunting. ‘The Way’ might serve to sum up many of the characteristics of this collection. The village is ‘rain-shuttered’ the radio is tuned to ‘dead melodies’ the road ahead is ‘dwindling’. ‘The Restaurant’ , in which ‘Most of the walls are black with the juice/ of berries imported for just this purpose’ is a satire on the more extreme pretentions of the modern fine dining experience. It achieves its goal by evoking an environment full of well-chosen peculiarities to create a portrait both ridiculous and sinister. Those interested in this sort of absurdist piece, and particularly in the investigation of food and its variety and associated meanings, should check out the poetry of Anthony Rowland, a master of this type of poem and possibly someone Parker is aware of. I detect positive echoes of Rowland’s work in this and in the title poem of the collection which has the density, implied historical perspective and fine control of the senior poet, and as in Rowland’s work, rewards repeated reading. January 1, 2013 by roymarshall First published in Critical Survey. Like his first collection ‘The Land of Green Ginger’ (Salt, 2008), many of these poems are rich in culinary and gastronomic language. Rowland is on a mission to use words that normally only reside in dictionaries. The appearance of ‘discombobulate’ in a description of unwrapping sandwiches is perhaps a mouthful too far, but it is an example of Rowland’s ambition to fully utilise language, and not just English but a whole range of European words. I would have liked this poem and several others in the collection to have had footnote translations. This aside, the unease of a tourist surrounded by physical reminders of horrific historical events is evoked here, and again in the deft and effecting ‘Serchio Bathing Party’ which details a tour of the house in which Holocaust survivor Primo Levi committed suicide . The tour is contrasted against later experiences the same day including the delights of a plunge pool, a gelato hatch and the Po’s ‘Olympian serenity’. Similarly, ‘The Fuhrerhauser’ is a journey through Soviet and Nazi landmarks including Birkenau. In clipped three line stanzas, observations of the banal mix with the horrific to evoke the incongruence at being tourist among remnants which stand testament to unfathomable inhumanity. This sequence is well placed at the end of the collection where it remains likes a monument in an empty landscape. ‘Bitter’ celebrates and mocks a variety of Real Ales. Some of the beers speak for themselves in a masterful blend of overblown advertising and bawdy language. Wordy mouthfuls beg to be relished aloud, my favourite being ‘Oban’s Fair Plugged wants frottage with a Cornish’. There is another dimension in the remembrance of a less sophisticated drinking culture ‘where Tetley glasses used to sail the air/changing the channel to random violence.’ This is Rowland at his funniest and most poignant, switching quickly from humour to grim unsentimental realities in one fluid journey. In ‘Sausage’ we disturbingly find ‘the sausages that glitter in the Somme moonlight’, and ‘Arras’ contains the sort of absurdly comical anecdote that is passed down through a family by word of mouth; ‘Someone shot the brigadier’s dog in no-man’s land:/no password.’ And ‘Your keys to the door arrive in a trench/with two birthday cards in bits: birthdays/would gift the enemy information. The sheer inventiveness of much of this book kept me engaged, entertained and rewarded. If I were to be negative I would say I had too much on my plate with ‘Engrish’ (there are two poems with this title in the collection) which seemed over long. Then there are several ‘Hotel’ poems, surreal ‘Tripadvisor’ style accounts which I found a bit too thematically and technically similar to all merit inclusion. On the whole Rowland succeeds brilliantly in bringing a surprising mix of ingredients together in a celebration of language. This is a big book in more ways than one. Not everything here was to my taste, but there are enough exquisite and memorable dishes to make this the equivalent of a Michelin star experience. I am a Magenta Stick is published by Salt, 2012. The contemporary poetry anthology seems to be in rude good health. There are anthologies based on ‘new generations’ of poets, poets under thirty, anthologies to showcase or create a school or genre. Others, like the Forward, gather prize winners and well established poets. Still others try to counterbalance these by presenting the ‘best’ poems from small presses in any given year; many are enjoyable and some are useful, for example, in bringing new voices to the fore. But few feel ‘necessary’, or give the impression of being able to stand the test of time. Fewer still could be given out in a pub, to be understood and enjoyed by the recipients. I suspect that ‘Versions of The North’ could. Subtitled ‘contemporary Yorkshire poetry’, this is an anthology from Five Leaves Press edited by Ian Parks. Paradoxically, given its stated geographical borders, the one hundred and forty-seven pages of poems cover a huge variety of themes and gather a multiplicity of voices to celebrate and reflect upon the physical, historical, political, geographical and emotional landscapes of the north of England. Major strengths are that poems by deceased poets and sit alongside work by rising stars like Helen Mort and David Tait, and that the ‘celebrated’ sit beside the ‘overlooked’ or less well know. A democratic accessibility is at the heart of this collection; I was originally going to title this review ‘A new republic of the head and heart,’ a line borrowed and adapted from a poem by Ian Parks. But the inclusively and accessibility of this collection doesn’t mean the book isn’t full of surprise, confrontation, celebration, grief, humour and moments of astonishing beauty. Throughout the collection I encountered, and warmed to, the geography of old-mill workings and slag heaps, the ghosts of heavy industry, the echo and sometimes physical reminders of territorial and political battles, the landscapes of moors and crags as well as great cathedrals, tea shops, rivers and the sea, all described by a spectrum of distinctively individual but collectively ‘northern’ voices. These lines from Maurice Rutherford’s ‘Outlook on Monday’ put me in mind of Les Dawson’s housewife in a pinafore, arms folded, alert and primed for gossip. ‘A neighbour swabs her doorstep/the clothesline a farcical can-can/incontinence knickers in chorus/high-kicking out of time.’ Dawson’s characters were archetypes, but they were recognisable and loveable ones, and his portrayal of stereotypes was never malicious. The same can be said of the many characters that inhabit this book. George Kendrick finds cause to celebrate a bicycle tyre in a tree, and this highlights a key aspect of this collection, namely a lack of obscurity, an absence of the deliberately ‘clever’, the flashy or brash. Most of, if not all the poems, are written using ‘everyday’ language, and many refuse to be tided or clipped into neatness, but maintain the expansiveness of real speech; perhaps Les Murray’s antipodean ‘Quality of Sprawl’ has its equivalent in northern England. This anthology serves to remind the reader how richly expressive and elegant everyday English can be. Together with explorations of the seemingly ordinary, there is much bravery in dealing with big themes. This anthology doesn’t shy away from conflict, whether it is the bitter confrontation of the miner’s strike or issues of identity, class and race. 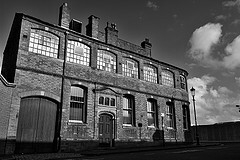 Nor is there any trace of a simple romantic view of long gone industries. Instead there is ambiguity in poems which deal with this loss, an acknowledgement that whilst these industries provided livelihoods and a sense of community, they also laid scars across the land and the lives of many of its inhabitants. Those who were lucky enough to have known the late Ann Atkinson will be particularly moved by her poem ‘Petrifying Well,’ in which Ann seems to be expressing acknowledgement of the passing of all things. There are far too many standout poems to mention here, but the delightful invention and controlled rage and humour of Ian Duhig is well represented by his five poems, as is the masterful control of Pat Borthwick in ‘It’s Only’, a tour de force in which she sardonically shines light on the dull waters of the Humber and uncovers a dinosaur’s scaphoid (or does she? )among the brickwork and slack on the foreshore. There is a lot of weather in this book; inevitably rain and snow, but also sunshine, notably in Jules Smith’s poem ‘The Barefoot Bride’. Elsewhere Ann Sansom sings the hymn of a humble slug, while Paul Mills captures the power of nature on a different scale in ‘At the Lake House’ ; ‘Stronger than love/ is stone’s connection with water./Anchored and fluid among the peaks/ they sculpt each other with force, with likeness, with nearness’. Another stand out poem is Graham Hamilton’s heartbreakingly beautiful tale of salmon and his reflection of changes in the lives of the men who fish and fished them. I know that editor Ian Parks had to persuaded into including two of his own poems by a delegation of the anthologised poets. This comes as no surprise since self-promotion doesn’t seem to be Ian’s priority. But his own ‘Strikebreakers’ is an essential part of the picture, containing a line which conjures a state of civil war in which ‘ the mounted men broke through’. In this remembrance there is a chilling sense of the inescapable and inevitable legacy of such a bitter division and conflict. This is followed by Ed Reiss biblical take on un-forgiven scabs. In different ways both poems perform the difficult task of describing the detail and legacy of such battles without becoming overtly polemical. This is not a mono-cultural anthology; Liz Cashdan, Debjani Chatterjee and Ian Duhig among others remind us of the history of migration and the variety of Yorkshire voices and experiences. But I would have liked to see a few more voices springing from differing ethnic backgrounds. Perhaps with the passage of time these voices might come to the fore. This small point aside, Ian Parks has selected and sequenced these poems to create an enduring map of a past and present Yorkshire as seen and described by several generations of its children. 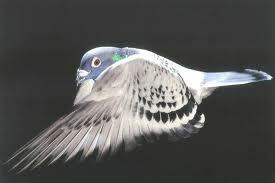 That he has succeeded in his ambition is testament to the sheer quality and variety of the poems. You can read an interview with Ian Parks on this anthology here. ‘Versions of the North’ is available from Five Leaves Press. The vividly filmic opening poem of this book is both addressed to and voiced by melanchrini, the ‘dark-featured young woman’ of the collection’s title. The poem encapsulates a key aspect of this collection, namely Maria Taylor’s ability to inhabit and carry the voices of her ancestry whilst maintaining a detachment which enables her to have a conversation with the past. Hers is a voice with cross-cultural heritage, a voice arising from immersion in two very different cultures , the voice of a child who is from her people but not of them. In this, and in later poems, there is a sense that the offspring of this heritage will always be loved, even if her choices will not necessarily be understood or approved of by her Cypriot family. In four short stanzas we are introduced to a timeless rural Cyprus where the day begins with strong coffee being made by a grandmother while ‘the sun waited a little before rising’. Does the child, and later the young woman who sits in her place as ‘a cockerel crows and years went by’, belong here? We are entering the world not only of the second generation immigrant with their immersion in cultural and geographical contrast, but also of the generational migrant who is leaving behind the centuries that shaped her forbears. It is this early exposure to dualities which enable intense and vivid recollection of moments observed, at once familiar and yet strange in the context of her later adult life in another county. Memory lapses into dream and dreams are forgotten. The only reality is ink. A Day At the Races brings to life the seedy world of a betting shop where on-screen the ‘daft complex hats’ and ‘Lancome Smiles’ of ladies at a race day are juxtaposed against the foul-mouthed old man with ‘lonely teeth’ who is ‘itching for a drag of tar’. In Soapsud Island, where the dirt of Kensington and Chelsea was once ‘imported’ for laundering, this industry has been erased by a present where a church can be ‘mistaken for a snooker hall’ . The poet longs to cleanse and mend the urban grime, to restore the sense of common purpose and identity which once existed amongst a long-lost community. There are poems of universal emotion crafted with deftness and delicacy. One can imagine poems such as the radiant ‘In Love’, ‘Kin’, and ‘Outside’, which is addressed to a child in utero, gracing anthologies such as Bloodaxe’s ‘Staying Alive’. Another dimension to this collection is provided by entertaining and wry poems which address, among other subjects, the role of the actress in the classic version of King Kong who is told by the director in A History Of Screaming ‘You’re’ helpless, Ann, helpless.’ This could be interpreted as a metaphor for the role of women within the film industry, perhaps the real monster that has devoured so many. There is also the surprising and hilarious ‘Larkin’, a poem which evokes the horror of teaching poetry to schoolchildren and ends with a suitably Larkinesque twist. In contrast to this humour and lightness of touch there are is the darkness of The Language of Slamming Doors, a neatly written piece detailing how the anger and violence of a relationship have left physical scars upon a building. In I Woke to Birth, the speaker travels though a strange, clinically brutal and seemingly inhumane landscape of medicalised labour and Cesarian delivery only for natural instinct to triumph through the mist of exhaustion and anesthesia in the resolution of the last line. ‘Asleep in an aquarium, I reached for their bodies’. Credit is due to Nine Arches, who have produced a book where the quality of the design and layout reflects the content. Their products are surely amongst the most attractive in poetry publishing. This collection is part of their ‘Debut’ series, which, as a first collection it technically is. But in its assurance, maturity, coherence and bravery, ‘Melanchrini’ feels a long way from being a debut. ‘Kin’ with its line ‘there was no second or third country’ and the final poem ‘Felling a Maiden’, provide some resolution to the complex questions of identity and belonging that run through the book. In these and other poems Maria Taylor shows us that wherever we come from, we must ultimately become and belong to ourselves, renewing and confirming our identities for and to ourselves. Melanchrini is published by Nine Arches Press, 2012.